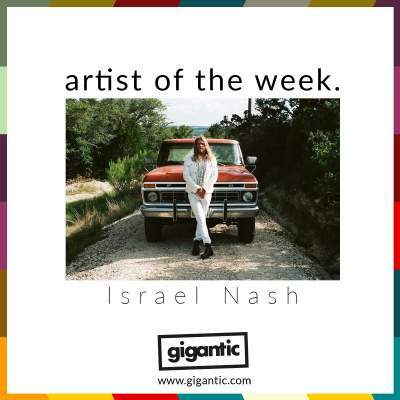 Missouri born musician Israel Nash has long been known for his incredible creative leaps from indie rock into the realms of spiritual Americana and country. Having now based himself in the excitingly titled Texan town Dripping Springs, he makes exciting forages into the fringes of sound and melody, adopting the heart and pioneering spirit of the hippy movement which has seen him win critical acclaim around the world. His cult following has started with his debut solo album 'New York Town' which he self-released in 2009. Two years later saw him work with Sonic Youth’s Steve Shelley on second album 'Barn Doors and Concrete Floors' and he continued to impress with the records ‘Israel Nash's Rain Plans’ and ‘Israel Nash's Silver Season’. Now he’s back with his brand-new LP ‘Lifted’. Ever the innovator, Nash takes seemingly random styles and sounds to create his very own unique feel, apparently using the I Ching (The Book of Changes) as a song writing tool to make decisions and arrive at unique destinations which pushed ‘Lifted’ beyond conventional genre descriptions and making it a very individual journey. Joining him for this experimental recording process was co-producer and engineer Ted Young (The Rolling Stones, Kurt Vile), arrangements by Jesse Chandler (Mercury Rev, Midlake) plus his long-term band. This has resulted in an album which while rooted in Americana, takes braves leaps into psychedelia as it rolls through an expressive sonic landscape, touching upon interwoven elements of rock, electronica and dream pop along the way. ‘Lifted’ is a massive hit with the critics, with Uncut calling it “a thing of wonder”, Q Magazine a “slick wonderful album” and Louder Than War even go as far as to declare that it will bring you “as close to heaven as music can take you”. Israel Nash is currently touring ‘Lifted’ around Europe, playing dates in France, Italy, Netherlands and Sweden before making his way on over to finish up at Scala London on Thursday 22nd of November. Nash will also return in January 2019 to kick off a more extensive UK tour which takes him to Manchester, Nottingham, Bristol and Birmingham. Tickets are currently available with Gigantic so make sure you book yours before they all go. Israel Nash tickets are currently available.